Windows XP/2003/Vista/7/8/10 DWG format is one of the most popular formats of CAD drawings, supported by a vast majority of CAD programs. It was licensed by Autodesk, Inc. as a native file format for AutoCAD. It is used for storing 2D and 3D drawings. 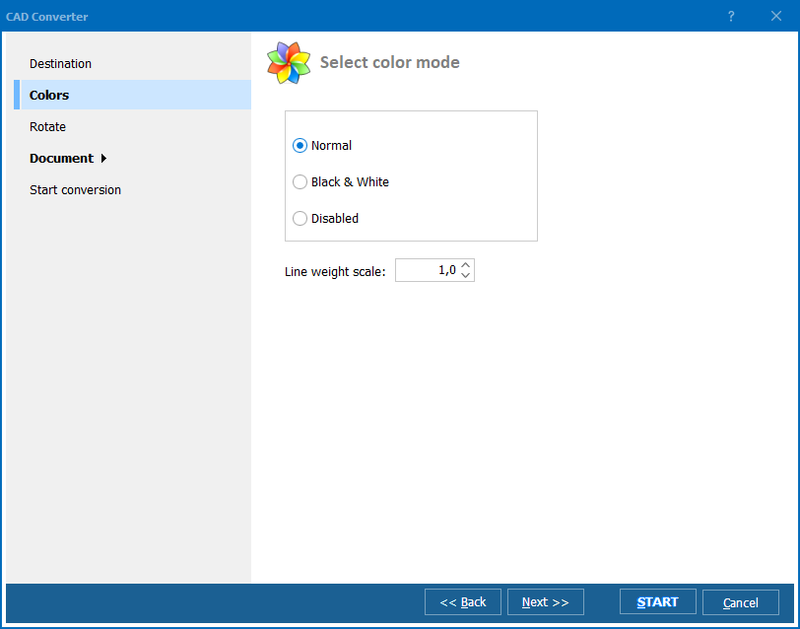 The DWG converter with such a wide choice of formats for conversion significantly increases the accessibility of drawings, making it compatible with any image viewer, web browser or graphic editor. 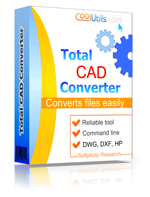 Total CAD Converter was specially created to convert CAD drawings into different graphic formats with minimum efforts required from user. You don’t need to know the technical aspects of conversion process or have any other special skills. It is clear and simple, like any standard application you are using every day. 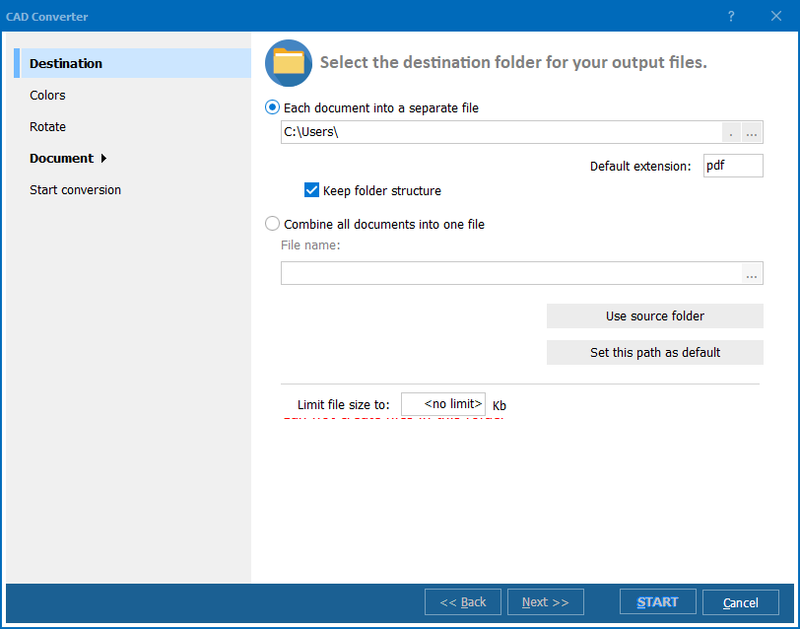 In spite of such simplicity in use, this CAD converter offers outstanding package of features, allowing not only importing DWG files into various formats, but also changing their graphic characteristics and even edit size, paper orientation and a lot more to get the results most suitable for your needs. 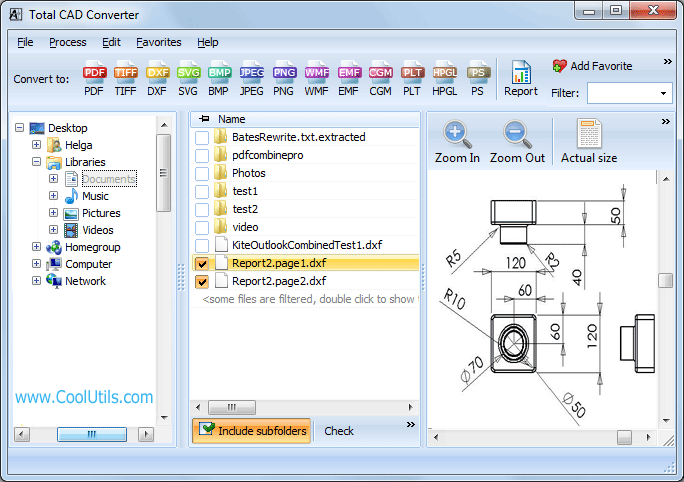 Special bonus from Total CAD Converter is converting DWG files in batches – convert as many files as you need in one simple command! You are welcome either to buy it or download a trial version right now.